- Liu, L L grounded out to p (1-2 BKF). - Zhao, J out at first 3b to 2b (0-0). - Chen, Jia grounded out to ss (1-0 B). - McCleney, H singled to shortstop (1-2 BKF). - Haeger, L grounded into double play ss to 2b to 1b (0-1 K); McCleney, H out on the play. - Xi, K walked (3-2 BFKBBB). - Wang, B reached on a fielder's choice down the 3b line, bunt (0-1 K); Xi, K out at second 3b to ss. - Liu, M out at first p to 2b, SAC, bunt (0-1 K); Wang, B advanced to second. - Liu, Y walked (3-2 BBFSBFB). - Xu, Q grounded out to 2b (1-1 BK). - Taylor, N singled up the middle (1-2 FFBF). - Landry, B doubled to left center, RBI (3-1 FBBB); Taylor, N scored. - Stewart, K singled to second base (0-0); Landry, B advanced to third. - Stewart, K stole second; Landry, B scored on a fielding error by 2b. - Goler, A flied out to cf to right center (1-2 BKF); Stewart, K advanced to third. - Sandberg, K grounded into double play 2b to 1b to c (0-1 K); Stewart, K out on the play. - Yuan, H lined out to 2b (3-1 BSBB). - Liu, L L grounded out to 1b unassisted (3-2 SSBBB). - Zhao, J struck out looking (0-2 KKK). - Davis, R singled to shortstop (1-0 B). - Gadbois, T reached on a fielder's choice down the 3b line (0-0); Davis, R out at second 3b to 2b. - Gadbois, T stole second, advanced to third on a throwing error by c, scored. - McCleney, H singled to third base (3-1 BBBK). - Haeger, L grounded out to ss (0-0); McCleney, H advanced to second. - Taylor, N struck out swinging (1-2 FFFBS). - Chen, Jia struck out swinging (0-2 KFS). - Xi, K grounded out to 3b (0-1 K). - Wang, B grounded out to 1b unassisted (3-2 BKFBFB). - Zhang, Y to 2b for Zhao, J. - Landry, B singled through the left side (0-0). - Stewart, K out at first 3b to 2b, SAC, bunt (0-0); Landry, B advanced to second. - Sandberg, K flied out to lf (1-0 B). - Liu, M walked (3-2 BFSBBFB). - Xu, Jia pinch ran for Liu, M.
- Liu, Y out at first 1b to 2b (1-1 BK); Xu, Jia advanced to second. - Xu, Q hit by pitch (0-0). - Yuan, H struck out swinging (2-2 KBSBFS). 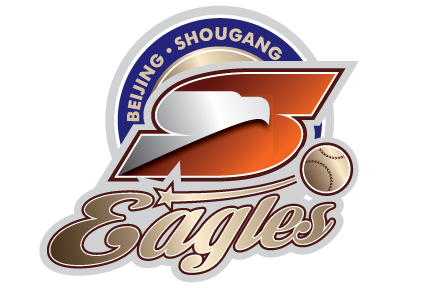 - Liu, L L reached on a throwing error by 3b, advanced to second on the error (2-2 KKBB); Xu, Q advanced to third on the error, out at home 3b to rf to c; Xu, Jia scored on the error, unearned. - Xu, Jia to 1b. - Davis, R reached on a dropped fly by 1b (1-0 B). - Gadbois, T out at first 3b to 2b, SAC, bunt (0-0); Davis, R advanced to second. - McCleney, H grounded out to 2b (1-2 FBFF); Davis, R advanced to third. - Haeger, L singled down the rf line, RBI (1-2 BFKF); Davis, R scored, unearned. - Gomez, B pinch ran for Haeger, L.
- Cao, Y to rf for Yuan, H.
- Taylor, N popped up to 2b to first base (0-1 F). - Zhang, Y grounded out to 2b (1-1 SB). - Chen, Jia flied out to lf down the lf line (2-2 SFBB). - Xi, K fouled out to lf (3-2 FBKBFB). - Landry, B singled up the middle (2-2 BSBFFF). - Stewart, K singled through the left side (3-1 FBBB); Landry, B advanced to third. - Sataraka, M pinch hit for Goler, A. - Stewart, K stole second, advanced to third on an error by ss, scored, unearned; Landry, B scored on a throwing error by c.
- Sataraka, M flied out to rf (1-1 BK). - Taukeiaho, M pinch hit for Sandberg, K.
- Taukeiaho, M grounded out to ss (0-1 K). - Davis, R singled to shortstop (0-0). - Goler, A to 1b for Sataraka, M.
- Sandberg, K to c for Taukeiaho, M.
- Wang, B grounded out to 3b (0-1 S). - Xu, Jia struck out swinging (1-2 BFKS). - Liu, Y struck out swinging (0-2 SSS).